Spalding Kenan Manson, Jr., former owner and president of The Stone Center, Inc. and Manson Marble and Granite Co., Inc. died Wednesday evening, November 24, 2010, of Multiple Myeloma with complications from congestive heart failure. He was born in Florida in 1922, and moved to New Orleans shortly after, finally settling into his Metairie home in 1951. A civil engineer graduate from Tulane University, and its first Naval ROTC class in 1942, he served aboard battleships in the U.S. Navy for over three years: one year on the USS Texas in the Atlantic; two years on the USS South Dakota, mostly in the Pacific; and lastly as a NROTC instructor at the University of Texas, Austin. He was attached to the Admiral’s Staff of Commander Battleships Atlantic Fleet during the North African invasion of November 8, 1942, at Casablanca aboard the Texas; and on the South Dakota with the British Main Fleet off Norway, and for the bombardments, air strikes and invasions of many of the Pacific Islands. 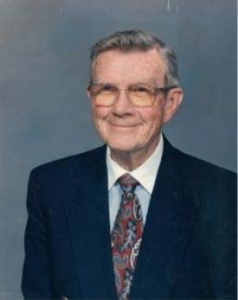 He was an Elder and a former Sunday School teacher and Superintendent at Metairie Ridge Presbyterian Church, a member of the New Orleans Country Club, a former member of the Crillo Club and Pickwick Club, a former member of the Board of Metairie Park Country Day School and of the Metairie Club Gardens Association. He was a past president of both national organizations of the Marble Institute of American and Building Stone Institute. He was a member of Phi Kappa Sigma Fraternity, Friends of the Cabildo, the National WWII Museum, and the Ashantilly Center, Inc. of Darien, GA. He enjoyed researching family genealogy. Mr. Manson was the son of the late Spalding Kenan Manson and Louise Farnsworth Manson and was preceded in death by one brother, John Farnsworth Manson. He is survived by his wife of 68 years, Nadyne Gibbs Steinmayer Manson; his son Spalding Kenan Manson, III of Atlanta, GA; daughters Katherine Anne Manson Alexander of Metairie, LA and Claudia Gibbs Manson Hazelwood of Normandy, TN; five grandchildren: Ashley Manson Marratt, William Clark Manson, M.D., Whitney Hazelwood Brough, Grant Michael Alexander, and Patricia Gibbs Alexander; and four great grandchildren. Relatives and friends are invited to attend the memorial service at Metairie Ridge Presbyterian, 215 Phosphor Ave (corner of Codifer Blvd and Phosphor Ave.), on Tuesday, November 30, 2010 at 2:00 p.m. A brief reception will follow. A private family interment will be held at a later date.